Although this is the first time I’m hearing about Fallout Miami, it’s apparently been in development for years – and the work that’s been put in by the F:M team really shows. 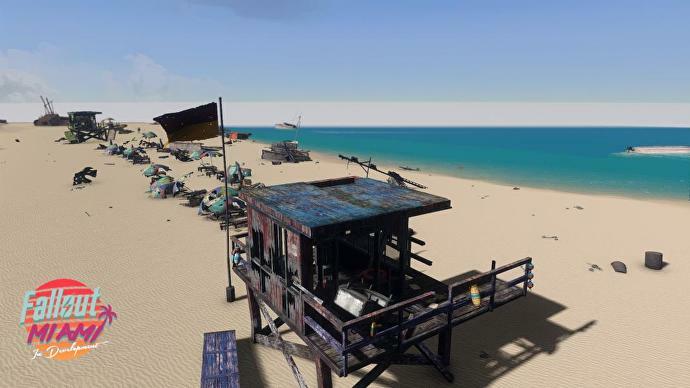 Fallout Miami, when it inevitably launches, looks to be comparable to official Bethesda DLC, complete with a main story, side quests galore, and tons of new weapons and items to use on the beautiful (yet morbidly irradiated) Miami sands. The Nuclear Patriots: A fearless post-apocalyptic group that abhors the local slave trade and sees themselves as an extremely righteous group of protectors. They’re like half-biker gang, half-medieval crusader, all self-righteous zealot. They seem like a faction whose “good side” you want to stay on. The Dreamers: A faction that seems more like a loose gang of addicts who can’t seem to face the nuclear reality all around them – a group of near-brain dead druggies who abuse the Miami wasteland’s most psychoactive chem “Luna” to keep themselves sedated and “dreaming” of their prior lives. I will be steering clear of The Dreamers. The Cubanos: Descendants of wealthy elites who fled Cuba and established themselves as operators and owners of Miami’s luxury lifestyle before the bombs fell. Their hotels, golf courses and casinos quickly transformed into fronts for a criminal organization that dealt in prostitution, racketeering, and drug trafficking. The apocalypse doesn’t seem to have stopped the group’s illicit operations, and I for one can’t wait to join them. When I first saw Fallout: Miami, my mind immediately went to a Godfather-esque storyline, where you work for a Hyman Roth-type character and run the post-apocalyptic mob. Regardless of what we’ll be up to in F:M, it seems like it’ll be a blast (pun intended). 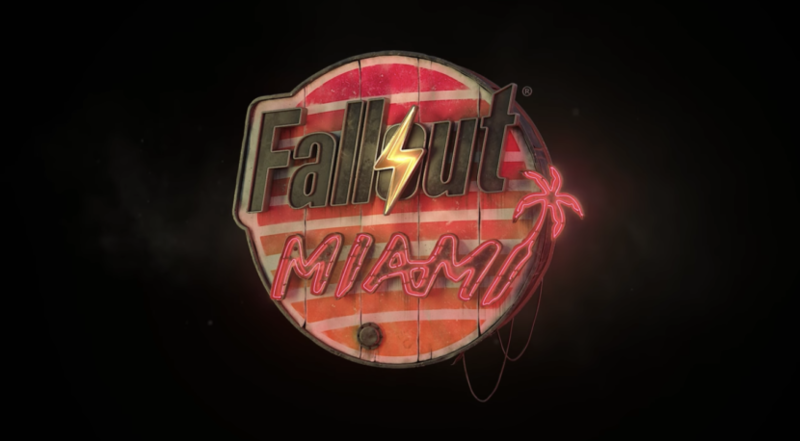 As of right now, Fallout: Miami is slated to be PC-only, but make sure you check out the official website of the mod right here to keep up on the project.